This is a fantastic write up for Dolores Cannon's work. Her data is by far is some of the most compelling, due to the statistical improbability being very low that all her cases were frauds. The overwhelming trend of these data also match a vast body of other works; whether channeled, forbidden archaeology or spiritual texts. This story of humanity, relating to Atlantis, in my research all has to do with personal responsibility and liability. In the epic, Legend of Atlantis, there is described the incarnation of souls for education and evolution, the discovery of our Dharma, which is echoed in Dolores' work. 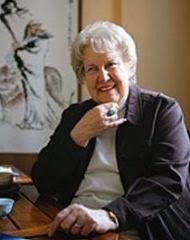 Dolores Cannon’s career has spanned over 4 decades, during which she has worked with thousands of clients in regressive hypnotherapy sessions. With over 17 published books on the subject, Dolores Cannon can easily be considered one of the world’s most sought after professionals in the field. Popular subject matter touched upon in her numerous books include: past lives, extra-terrestrials, life on other planets, energy healing, famous historic figures such as Nostradamus and Jesus, abductions, and the list goes on. Each book has the tendency to “bend the reader’s mind like a pretzel,” Dolores explains. Dolores’s theory proposes that a series of souls are traveling from other planets and dimensions to assist Earth at this time. Many of these souls, which are of a higher vibration than the resident Earth souls, are incarnating on the planet for the first time. She affirms that the souls that have spent many lifetimes reincarnating on Earth are stuck in a karmic cycle, repeating the same patterns of mistakes and lessons which is ultimately leading to the destruction of the planet. Thus, there has been a calling for purer souls to come to Earth to cleanse and raise the planet’s vibration. The Earth is going through a major transformation, one that Dolores’s clients state has never happened before. For the first time, an entire planet is shifting it’s vibration into a new dimensional frequency. 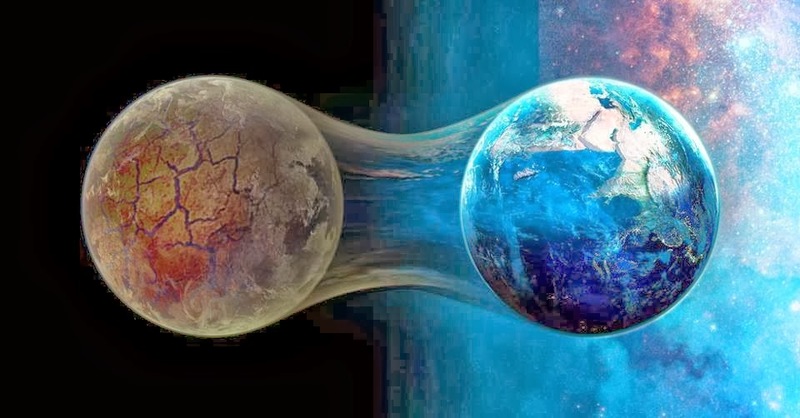 Many souls or groups of souls have experienced a shift like this in the past, (i.e., the Mayans) but never has an entire planet shifted at once. Therefore, Dolores explains, the entire Universe has front row seats to one of the grandest shows ever seen. However, help is needed, because man has polluted the planet with a vibration so dense that it threatens the survival of the planet as a whole. Dolores reveals that if the planet blows itself up, it will reverberate throughout the universe affecting and disturbing all beings. Therefore, the call for help was made, and the souls quickly jumped on the wagon to assist. “Each time when people got to the point when they were using energy in the wrong way and couldn’t control it, they had to be stopped. And every time, everything would be reset on this planet. The civilization would go back to the primitive stages and start all over again. That’s why they don’t want to have it happen this time. They don’t want to start over with the planet and begin life for humanity one more time. The Large Hadron Collider experiment in Switzerland is the same thing. They are messing around with Anti-Matter. The scientists who are now fooling around with the Collider experiment don’t have any idea what they are really doing, and it’s very dangerous. We’re moving away from the negativity of the Old Earth, and it’s going to be a complete turnaround, beyond belief, and we’re all going there now. The New Earth is where it’s at. The Bible in the Book of Revelations talks about the New Heaven and the New Earth. That’s the same thing we’re having now. It’s just that St. John, when he had the vision on the Isle of Pathos, didn’t realize it was going to take another couple of thousand years before it was going to happen. For a fascinating read, check out Dolores’s book The Three Waves of Volunteers and The New Earth as well as her Convoluted Universe series.